Love him or hate him, you have got to admire the manner in which Morrissey managed to survive the devastating split of arguably the most important British band of their generation. When Johnny Marr decided enough was enough and walked away from The Smiths, he effectively severed the most prolific song-writing partnership since Lennon and McCartney and in the process, cut Morrissey hopelessly adrift.Without the musical genius that was Marr, there was always a chance that Morrissey might have faded away quietly, embittered by the loss of a band that were the perfect vehicle to deliver his eloquent outpourings. In fact, quite the opposite happened –Morrissey went on to thrive and enjoy even greater levels of fame in his solo career, a point he is at pains to make at great length and with tiresome regularity in his recent sprawling, but highly entertaining autobiography. 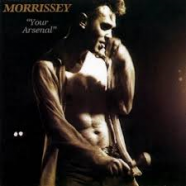 Your Arsenal was Morrissey’s third solo album; released in 1992, it came hot on the heels of Viva Uncle, an album that even he concedes was somewhat lacking. Your Arsenal saw Morrissey assemble a proper band for the first time, dispensing with the hired hands that had featured on earlier solo records and the results bore immediate fruit; Your Arsenal marked his arrival as a solo artist in his own right, with a more muscular, confident and assertive sound. Produced by ex-Bowie guitarist Mick Ronson, the songs drew heavily on the Glam rock sound of the 70s with the Rockabilly influences so evident in the music of the Smiths, also still to the fore. ‘You’re Gonna Need Someone On Your Side’ is a strident opener, a heavily distorted Eddie Cochran riff and Mozza gallantly offering his services before ‘Glamorous Glue’ blatantly ‘borrows’ Ronson’s own Jean Genie guitar riff for the first of the albums truly memorable cuts. 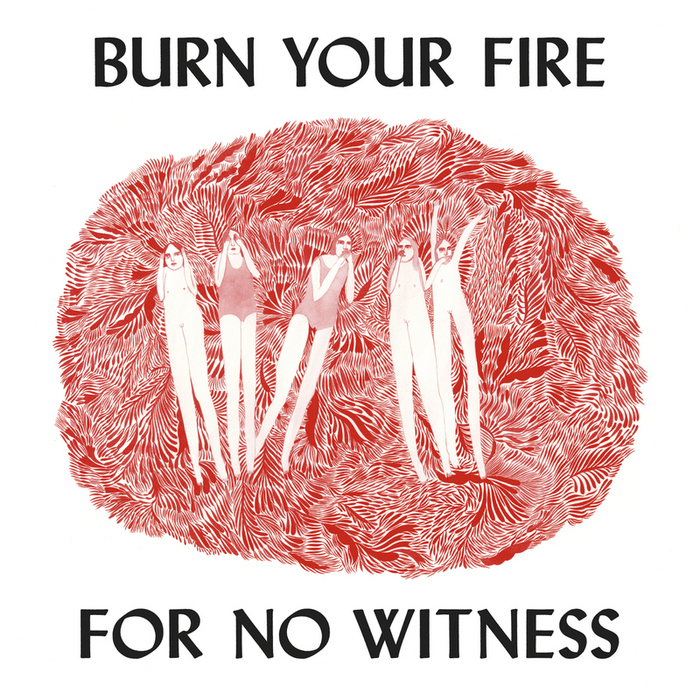 ’The National Front Disco’ marries shiny guitars with a lyric that not for the first time, would plunge him into controversy. To anyone with half a brain, this was obviously satirical but Morrissey’s many detractors never missed an opportunity to bait him, transparent attempts to activate Mozza the motor mouth. ‘We Hate It When our Friends Become Successful’ is a tilt at petty minded begrudgery while ‘You’re The One For Me Fatty’ is the most Smiths-like of the tracks on here. This re-mastered package also includes a DVD of a live performance in California at the height of Mozzamania. Apparently, his distaste for the whole re-issue thing that he wrote about so caustically in the Smiths song ‘Paint a Vulgar Picture’ has all but vanished. Your Arsenal was Morrissey’s most successful album up to that point in America, earning him a Grammy nomination and it’s easy to see why. It is studded with some of his most catchy and memorable tunes, and features enough of the trademark articulate wit and eloquence that made him so unique right from the early days of the Smiths. It’s a fine album, but as good as it is, there is something a little workmanlike about it compared to the blinding brilliance of the Smiths. That said, it is as good a starting point as any to re-acquaint yourself with the solo work of one of the true icons of British popular culture.